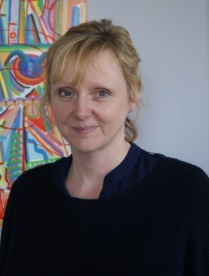 Reann Goulding is a Senior Mental Health Practitioner with the Crisis Team. “It’s fair to say our job is never boring. We work 24-hour rotational shifts, and each shift begins with a handover. We discuss our cases and plan our other work, such as visits and assessments, and following up early discharges. “We pick up anything that comes through to the office, as well as carrying a pager, which we respond to within an hour. “In the course of a shift, we can speak to community teams, pharmacists, GPs, Improving Access to Psychological Therapies (IAPT), psychotherapists, approved mental health professionals (AMHPs), health visitors, and the police. We cover a really wide and diverse area, so there is plenty of travelling involved. “We never know exactly what we are walking into, which some people may find stressful, but I enjoy. “It wakes up and consolidates all our mental health skills, as people can present very differently outside the hospital environment. We have to think on our feet, making difficult decisions in the community. “Like any job, it does have its challenges, such as interfacing with the service user while trying to maintain a therapeutic relationship. Managing our workloads can also be tricky at times.